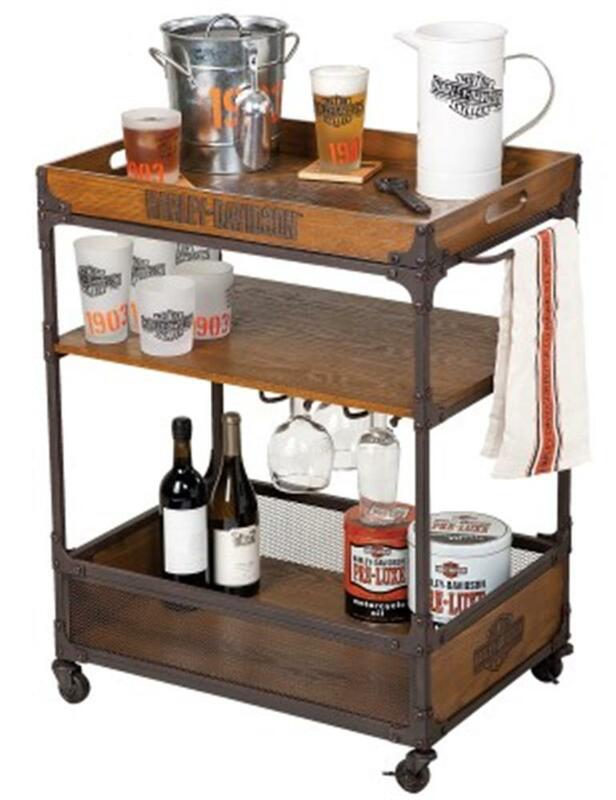 Roll out the H-D® beverage cart and serve up your finest drinks. Industrial vintage style is the key here, with the recognizable Bar & Shield laser engraved into the hand-finished wood. 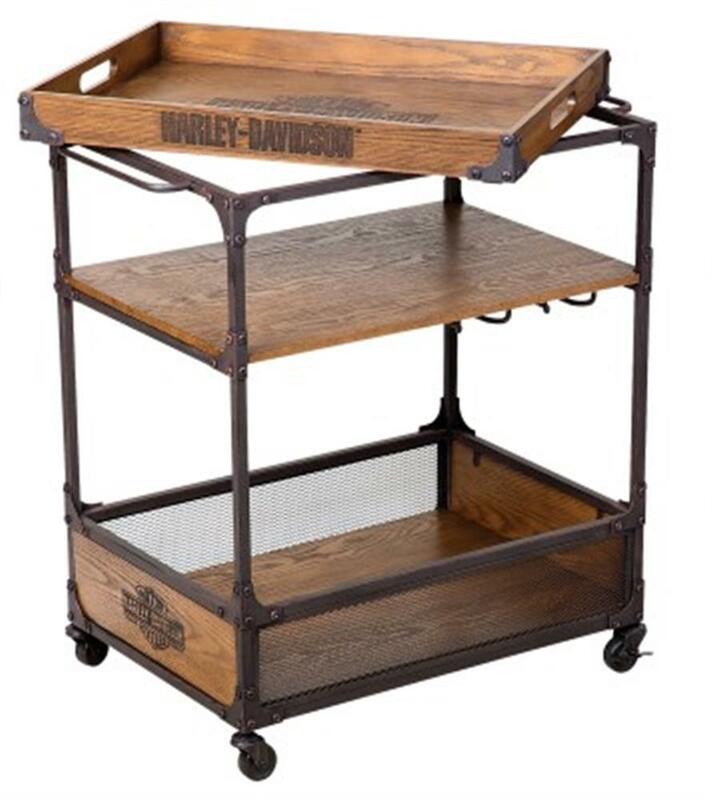 A powder coated steel frame sets the tone for durability, and the removable top tray that doubles as a server says, "Hey, I'm versatile." Loads of storage in bottom bin and on middle shelf with two stemware racks. Rides on four 360-degree swivel casters, two locking. Assembles easily! Recommended for indoor use only. Measures 33" H x 29.25" W 17.75" D.